You will wear safety eyewear to protect your eyes from the laser wavelength. Your practitioner will guide the laser to the treatment areas with a small handpiece. Each laser pulse may be preceded and followed by a short pulse of cooling spray. A treatment could take as little as a few minutes to as long as an hour, depending on the area being treated. Some patients may feel a slight discomfort with each laser pulse, sometimes described as snapping of a rubber band on the skin. This discomfort resolves in several seconds and is minimized by the lasers cooling. For some patients, a topical anesthetic may be used prior to treatment. Your skin should be thoroughly cleaned and dried, removing any makeup, creams , oils , topical anesthetics or self-tanning products before laser treatment. Discontinue waxing, tweezing, threading or the use of hair removal creams 3 weeks before treatment.The intended treatment area should not be exposed to sunlight or tanning booth light for 14 days prior to treatment. After laser treatment, prevent direct sun exposure by applying sunblock (SPF 30 or above). In the first few days after treatment, do not scrub or rinse the treated areas with abrasive skin cleansers. Your practitioner may advise additional precautions. Your risks are minimal. Side effects may include redness, swelling, hyperpigmentation, hypopigmentation, and purpura(a laser bruise) in the treated area- they usually do not last more than a few days. Permanent side effects are rare. Be sure to discuss potential side effects with your practitioner. This treatment can be done in 25-30 minutes. It offers an array of benefits that you can see and feel Immediately! It’s great for fine lines & wrinkles, oily/ congested skin, improves redness, sun damage and hyperpigmentation. It uses a painless vortex suction that cleans out your pores which leaves you with smaller tighter pores! You can add-on the blue light to help combat acne or red light to aid in the process of collagen stimulation. 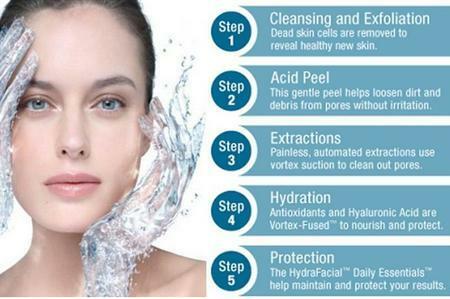 You will not be sorry you gave the HydraFacial MD a chance! 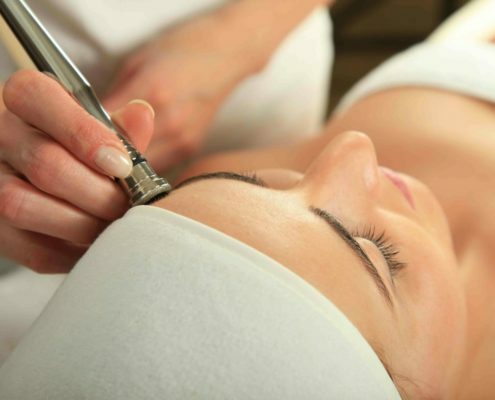 Microdermabrasion offers many benefits to most skin types. 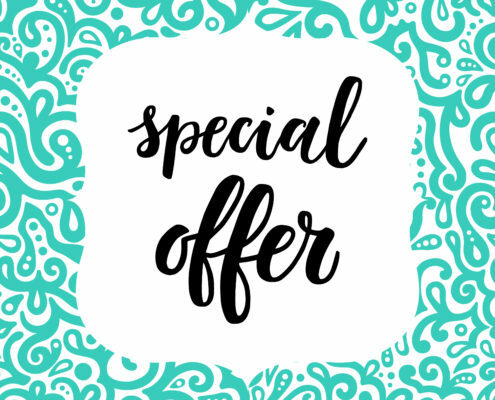 Through the use of a diamond-embedded tip or gentle abrasive crystals combined with an air stream, the Microdermabrasion method gently removes the upper layer of dead skin cells, leaving skin soft and smooth. Removal of the dead skin brings the healthy under layer of skin to the surface, encouraging healthy cell rejuvenation. Improve sun damaged skin, acne scars, hyperpigmentation (darkening of the skin), fine lines & wrinkles, and skin texture. The process is entirely safe, painless and non-invasive, usually taking less than 30 minutes for a complete facial treatment. A series of 6 treatments scheduled 7 to 10 days apart is recommended. After optimal results are achieved, one or two treatments per month are suggested to maintain results. Modified and Enhanced Jessner’s peels- This variety of gentle and innovatively blended formulations effectively smooths surface texture while brightening and inhibiting skin discoloration(hyperpigmentation). They also help heal and reduce breakouts, control oil and soften lines and wrinkles to provide more even skin texture. 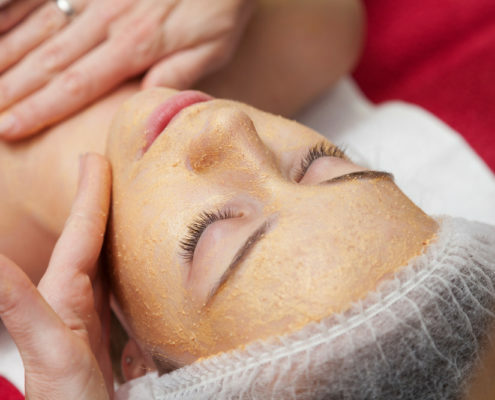 Blended TCA Peels- These skin-friendly yet effective peels address many skin conditions without the discomfort and downtime associated with traditional TCA peels. Our blends contain a variety of beneficial ingredients to help treat breakouts, skin discoloration (hyperpigmentation), and fine lines and wrinkles, while leaving the skin plump and hydrated. This group contains a range of options from gentle, for sensitive or darker skin types, to more active formulations for resilient skin types.